With the continuous rising of fuel costs today, every homeowner should inspect the insulation in their home in order to determine if energy dollars are being wasted right through the ceilings and walls of your home. Very surprisingly, while most insulation is relatively very simple to install in a typical home, I often find that exposed attics are the most problematic areas. CONCERNED ABOUT RISING ENERGY COSTS? MASSSAVE CAN HELP. There are so many great reasons to make energy saving changes to your home reduced energy costs throughout the year, improved home comfort, and lower greenhouse gas emissions. MassSave may provide you a no cost home energy assessment to identify the energy saving improvements that are right for you MassSave may provide money toward the cost of purchasing and installing approved energy saving measures and money saving rebates when you install qualifying energy efficient equipment Get started today. 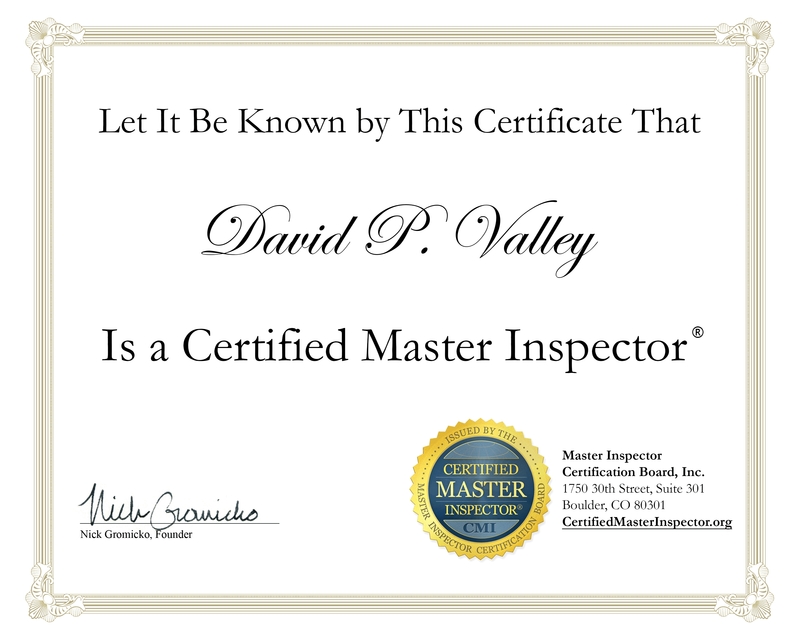 Call MassSAVE at 866-527-7283 or go to www.masssave.com for more information or to schedule your home energy audit. * For those Massachusetts homeowners who are not going to take advantage of the FREE energy assessment from MASSSAVE.COM (above), I'm going to explain (in detail) how to get your home adequately and properly insulated. 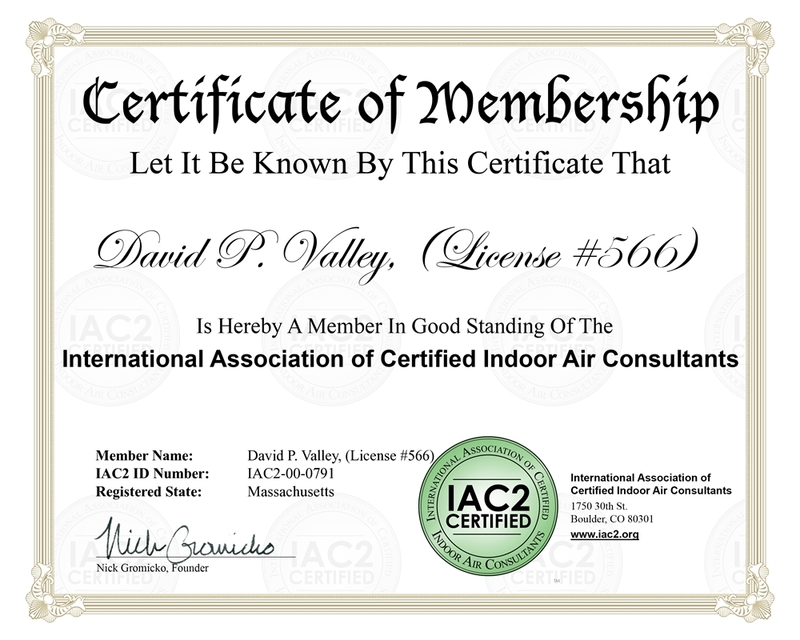 Both the insulation (and ventilation) are improperly installed, shoddily installed or not even installed on 80% of my home inspections throughout Massachusetts. Lack of insulation can lead to excessive heat loss into the attic, and most importantly it will cause moisture to build-up and this continued moisture accumulation throughout the attic can effectively develop into major mold issues. I find that many homes built prior to the early 1980's have an inadequate quantity of insulation installed above, alongside and below the living areas. Adequate insulation depths and a Properly designed ventilation system (in the attic) is critical for proper thermal efficiency and effective moisture-control. Ventilating this tight attic cavity will pro-long the life of asphalt shingles on your roof. For this reason, that is why I'm going to concentrate more on "HOW TO PROPERLY INSULATE AND VENTILATE YOUR ATTIC SPACE". Before you even start to insulate, always read through the insulation manufacturer's instructions. Skipping any steps and taking shortcuts could mean significant reductions in R-value and a big waste of money and effort on your part. Allow yourself plenty of time and make sure you have enough insulation materials to complete the entire job. If you're using rolled blankets of insulation, DO NOT open the package until you've hoisted the roll into the attic. The insulation material will expand significantly (when opened), making it much harder to handle. Always wear goggles, a dust mask or respirator, gloves, long sleeves and long pants when working with insulation. Knee pads are also very helpful in the attic area, especially if there's no flooring in place and you're resting your knees on solid floor joists. Be very careful moving around in your attic. Watch out for overhead rafters and those sharp nails that are protruding through the upper roof backings, and walk on the floor joists or sturdy floor boards only. If you were to step in the cavity between the floor joists, your foot will fall right through the drywall/plaster ceiling below. If you have adequate space in an attic with no flooring, you should lay wood members across floor joists to walk or kneel on. Do not allow the ends of the wood flooring material to float inside the floor joists. It's best to have the wood flooring material properly cut to size, so it spans the spacing on the floor joists and sits directly on the floor joists at both ends of the wood that you are utilizing for floor boards. The joist spacing will always vary from 16 to 24 or even 36 inches on center, so be sure to measure properly. Very important...Make sure you have adequate ventilation installed before or after any new insulation is in put in place in your attic. NEVER cover over any of the existing attic soffit vents, and leave at least one inch of airflow between the insulation and the roof backing, as shown here. If ventilation is lacking, I recommend a roofing contractor install roof vents on the high side of the roof (preferably a ridge vent for all gable roofs) and soffit vents or drip edge vents should be installed on the lower eave areas. The soffit vents should be equipped with Styrofoam baffles between the interior rafters (attached to the roof sheathing) leading down into the outer soffit cavity in order to retain adequate air flow in from the soffit area up into the attic cavity. They're very inexpensive and easy to install, just slide them down into the soffit cavity alongside the roof backing and staple them in place onto the roof backing itself. Remember...Do not allow insulation to block the airflow coming in from the soffit cavity. If you purchased (unfaced) insulation, you'll need to install a vapor retarder to prevent moisture damage. You can use pre-packaged vapor retarders or use 4 or 6 millimeter polyethylene sheeting. Vapor retarders should always go towards the warm side of the house. For attics, it needs to go under the insulation. If you purchased insulation with a Kraft-paper or foil facing, this facing should be placed down toward the inner ceiling (warm side of the home), but only the first layer should contain this facing. On any second or third layers, use unfaced blanket insulation or a blown-in insulating material. If you're using left-over faced insulation, you need to peel the paper off or simply slice long slits in the paper/foil facing (vapor retarder) to allow any moisture to pass right through the insulation. When you're using batts or blankets to improve the existing R-value of your attic, use your utility knife to cut pieces to size. Place any second and third layers (of blanket insulation) perpendicular to the lower layer. This technique will help lock in the thermal barrier and prevent any air gaps. Look for all recessed lighting that protrude through your ceiling below. Since some of these light fixtures can become very hot when in use, you need to keep all insulation a safe distance away from the top and sides of these fixtures. First of all, verify that the recessed lights have an "IC" designation on them. "IC" means "insulation contact," meaning that insulation can touch the light without danger and you may insulate around and on top of them. If the lights do not have this "IC" designation, I recommend you replace these non-IC fixtures with "IC" designated lighting and use those non-IC fixtures in locations that do not require insulation. If you do not want to replace these non-IC rated lights, then simply use a 1" x 4" or 1" x 6" piece of wood to create a retaining wall on all sides of the light fixture and insulate around this border. Keep the insulation at least three inches away from these fixtures and at the surrounding fire block area around the chimney. Keep in mind that non-IC light fixtures do create a lot of heat build-up under a snow filled roof and have caused nuisance ice dams in many homes I've inspected throughout Massachusetts. So I always tell my Buyers to upgrade all recessed lighting fixtures (especially fixtures in cathredral ceilings) to IC-contact fixtures. This will enable them to insulate right over these lights and prevent ice build-up on the exterior. Fully insulate your attic access area. Keep in mind the most important rule is that you want to insulate any surface that divides inside (conditioned) living areas from outside (unconditioned) spaces. Therefore, in an attic space that is not heated, the floor cavities (from the attic side) should be properly insulated because it is the barrier between the conditioned area below and the unconditioned space on the attic side. In finished attics, the knee space (the open cavities on the other side of the outer walls) should be insulated at all exterior stud cavities and inside the floor cavities that are outside the knee wall area. Behind a finished knee wall, insulation blankets should not be installed between the roof rafters. I continuously find this rafter area improperly insulated throughout the majority of my home inspections. A finished portion of the attic should look like this and an unfinished portion of the attic should look like this. Also...See the Diagram at the lower portion of this web page. 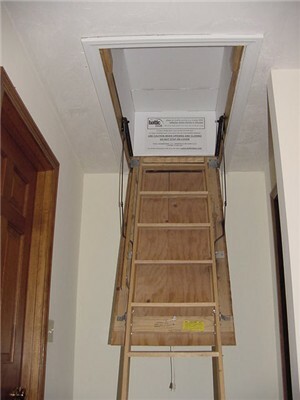 If your attic access is comprised of a pull down stairway or a scuttle hole opening, this area must be fully insulated to reduce cold air from infiltrating your conditioned space and to prevent heat loss through this passageway. Latch bolts should be installed to ensure an even tighter seal. There are manufactured insulated boxes on the market that will fit perfectly over any pull down stairway. Or if your good with your carpentry skills, you can simply make your own insulated box out of plywood and 2 X 4's. Design the box so it sits right along the outside edges of the attic opening and then fully insulate the outside of this box. If your good with a tape measure and have good cutting skills with a utility knife, you can fabricate your own insulated box with rigid foam boards and tape the seams with aluminum tape. 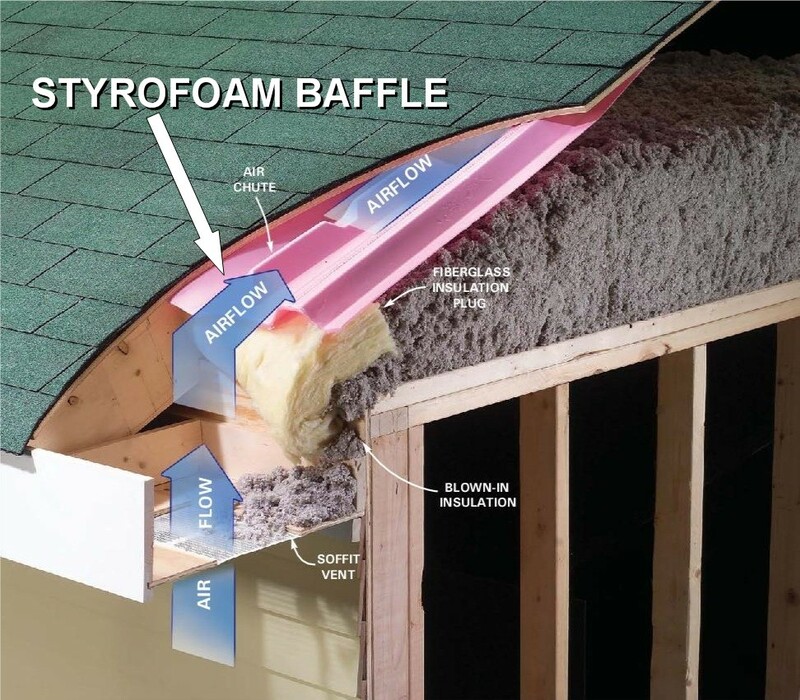 If you're hiring a professional to install blown-in insulation (loose fill) into the attic floor cavities, it's imperative to have them distribute it evenly across the entire unconditioned attic area (see Step 4). Any gaps, holes or inconsistencies in depth will decrease the R-value. Make sure they are not blowing this insulation inside your already installed soffit vents or baffles, as this will block the outside air from ventilating your attic. Your objective for proper energy efficiency in New England's weather is to have 12-14 inches of blanket insulation or 9-10 inches of loose-fill insulation equaling an R-39 value. 1 - In UNFINISHED attic spaces, insulate between and over the top of all floor joists in order to seal off all the living spaces below. 1A - Attic access opening. 2A - Between the stud cavities outside of all knee walls. 2B - Between the studs and rafters of exterior walls and roof backing. Do not block soffit vents or compress baffles. 2D - Extend the insulation right into the joist space (under living area) to reduce any air flows. 3A - All exterior Wall stud cavities between living spaces and unheated garages, shed roofs, or storage areas. 3B - Exterior stud cavities of cripple walls sitting on top of the foundation. 3C - All masonry foundation walls in heated basements. Rigid board foam can be applied to either the interior or the exterior portion of the foundation. This material is must protected by a fire rated material. 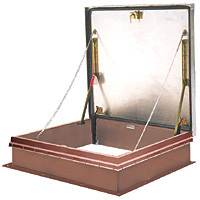 4 - All floor joist cavities above cold spaces, such as crawl spaces, sun rooms and unheated garages. 4A - All outer floor joist cavities (in a room) that are cantilevered out beyond an exterior conditioned wall below. 4C - As an alternative to floor insulation, you can insulate the foundation walls of an unventilated crawl space. 4D - Extend insulation into joist space (under the living area) to reduce any air flows. 5 - All Band or Rim Joists throughout the exterior wall. 6 - To finalize the efficiency of your home, replace any single pane windows with Thermal Pane windows and caulk and seal around every window and door trim piece.